The ground has shifted before our feet. Transitioning from a carbon-based, extractive economy to a sustainable, resilient one is no longer an option but has become a social and economic imperative. Within this challenge is an opportunity - opportunity to diversify Alberta’s economy, to address a growing climate crisis, and opportunities to create jobs and support workers and First Nations in the process. 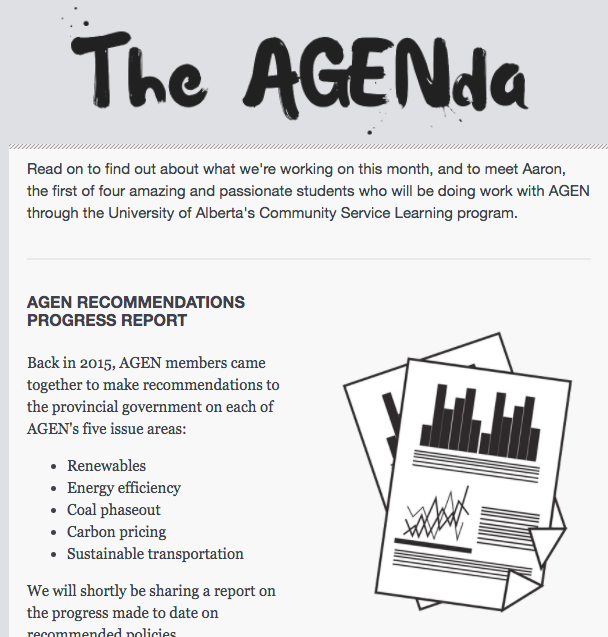 Alberta Green Economy Network (AGEN) is committed to assisting the Alberta Government in addressing this challenge, seizing these opportunities and helping to lay out a path to a greener, prosperous and more equitable future for all Albertans.